Hello K-Drama fans !! N here again with the reviews for the latest releases! Well, not the latest for this one but it is pretty much recent! 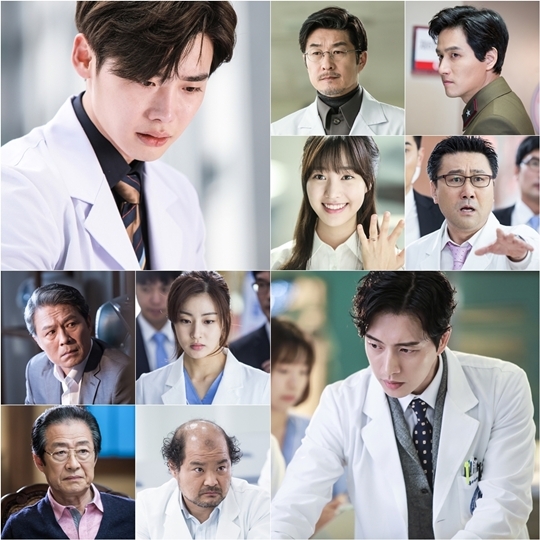 One of the main dramas for 2014, mixing romance with politics, action, suspense and humor… we will review Doctor Stranger. The drama was broadcasted on SBS, from May to June 2014. It counts a total of 20 episodes. 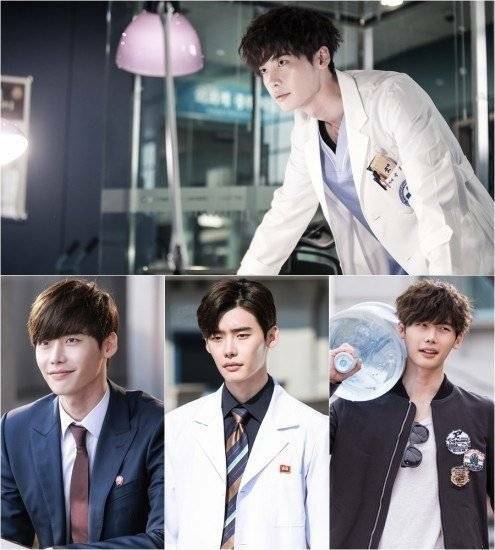 The plot revolves around Park Hoon (Lee Jong Suk) who is kidnapped from South Korea by the North Korean army, due to some political issues with his father. There, he endures a fierce yet cruel training to become a doctor. Risking his life, he tries to save his true love who was hostage in North Korean camps. He manages to escape, but loses her on the way! Later on, he becomes a genius doctor at one of the most prestigious hospitals in Seoul, but he always feels as an outcast: if anyone finds out about his activities in North Korea, he will be classified as a traitor! But being a “stranger” is not his only dilemma! His true love, which he thought was dead reappears… But is it her or someone that looks exactly like her? Is it truly her or is she a spy sent for some mysterious reasons? What about this hosptital he is working in: why is everyone after him? I loooooved this drama! It has everything that you may look for: romance, action, suspense, humor, rivalery, betrayal, conflicts over power, vengence, love triangles … and with enormous plot twists that make you linger for the next episode. It also has a little bit of politics, but not that much to draw you away… just a little bit to keep things interesting. Really, the suspense was the most important factor that made me come back, the constant urge to know: what will happen next? Is this truly happening? Why is this person doing this? Can he manage to escape from this situation? It also has some parts that make you doubt about the motives of some characters. The main mystery revolves around our doctor’s true love: is it truly her? I found myself going back and forth, believing it and then denying it as time passes. The characters are really attractive! I mean they have some personality traits and stick to them. They have rules and abide by them! They surely mature during the series and learn from their mistakes. What I appreciated the most was the faithfulness of “Ouri Doctor”! After many years, he was still faithful to his love… well, that is only in dramas, I agree, but still it is sweet! Another quality of his was his principle: patients first! At some points of the plot, he faces many choices: saving patients or losing something important… after making us confused for a while, he always finds a way to do both and argues that patients entrusted him with their lives, the least thing to do is to save them and meet their expectations. Way to go doctor!! The first 2 episodes where soooo full of action! I mean they were supposed to give us the context and immerse us in the life of the hero, but too much happened! And only the sad things! Like, Park Hoon didn’t even have a break : kidnapping, murder, cruel training, killing his humanity, chasing him down the street, losing some cherished people (I won’t say who, no spoil! ), betrayal, deception, ….. Everything!! I was literally screaming: enough already! That’s is too much, even for a drama! Hopefully, it was only the first 2 episodes, setting the context and then the action was relatively “normal” again. Visual effects? Yes, there were many of them, especially during the first episodes, but they were the cheapest visual effects I have ever seen!! Seriously, but it was hilarious! Even the ending is full of suspense: in other dramas, the ending is pretty much expected, with everything being solved out during the previous episode; but not « Doctor Stranger »! The last episode was also fulled with events and I found myself anctious, looking at how much time is left from the episode and how many things need to be arranged before the series end. And I was happy with everything that happened while nothing seemed to be rushed! All in all, I truly recommend this drama! I am not a big fan of the actors, so this is not a biased judgment based on how much the lead is handsome! One of the best Dramas I have watched this year and I was so satisfied at the ending! I don’t regret watching it at all! Enjoy watching ^^ If it is already done, let us know what you think in the comments section.